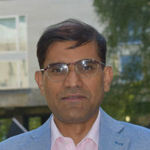 Professor Sanjeev Goyal holds the Ganshof van der Meersch Chair for 2017-2018. He will deliver a series of public lectures in Brussels on April 23-26, 2018. The opening lecture will be "Integration and Diversity", on Monday 23 April at 6pm at Institute of European Studies (IEE), Brussels.